LATHAM, N.Y. -- New York Army National Guard 2nd Lt. Christian Larrabee normally leads an infantry platoon in Bravo Company of the 2nd Battalion, 108th Infantry. His unit training frequently takes him to Fort Indiantown Gap, Pennsylvania, or Fort Drum, New York. 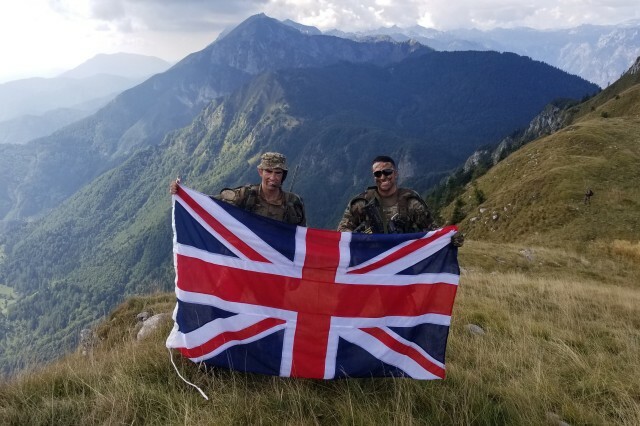 But in September, the Sauquoit, New York, resident spent two weeks leading a platoon of the British army's Fifth Royal Regiment of Fusiliers in a training exercise in the mountains of Slovenia, thanks to the National Guard's Military Exchange Program. The experience, Larrabee said, was "invaluable." He got to see part of world and make new friends while seeing firsthand how other NATO allies fight, Larrabee said. 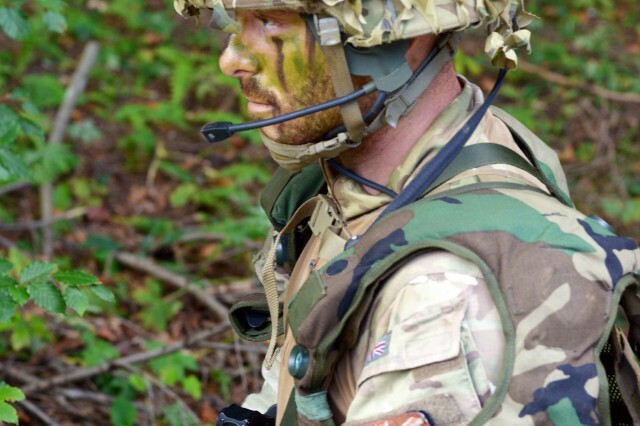 "I learned what tactics and kits work best in different environments and for different units and I was also able to contribute valuable insight from U.S. Army doctrine and test those tactics while in command of a British platoon," he said. The Military Exchange Program places National Guard Soldiers in units from America's allied partners, including the German Army, the British Army Reserve, the Danish Home Guard and Estonian Army. In return, these nations deploy military members to participate in a host unit two-week annual training back in New York. Each general officer command in the New York Army National Guard annually nominates Soldiers to attend. Soldiers who participate can be company grade officers, Warrant Officers 1 through 3 and NCOs from Sgt. through Sgt. 1st Class who best represent the organization. Soldiers selected must be worldwide deployable, not on a temporary profile, be able to participate in field exercises and be compliant with Army physical fitness and medical deployment standards. "Historically two to five Soldiers are selected by a combined Office of the Secretary of Defense, National Guard Bureau and NATO committee after being vetted and prioritized by New York," said Sgt. 1st Class Paul Mulligan, who manages the program for the Operations and Training Branch. 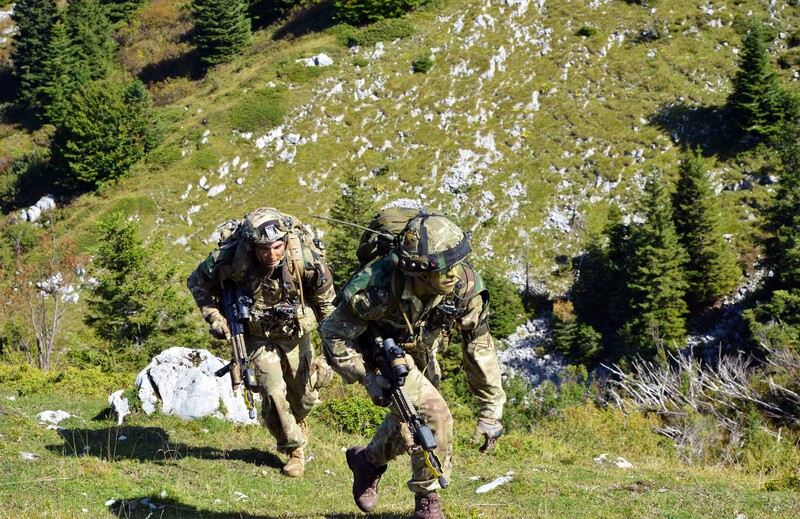 Larrabee's experience from September 10-21, 2018, highlights the program's benefits; placing American Soldiers with allied partners, in this case for challenging mountain warfare training. 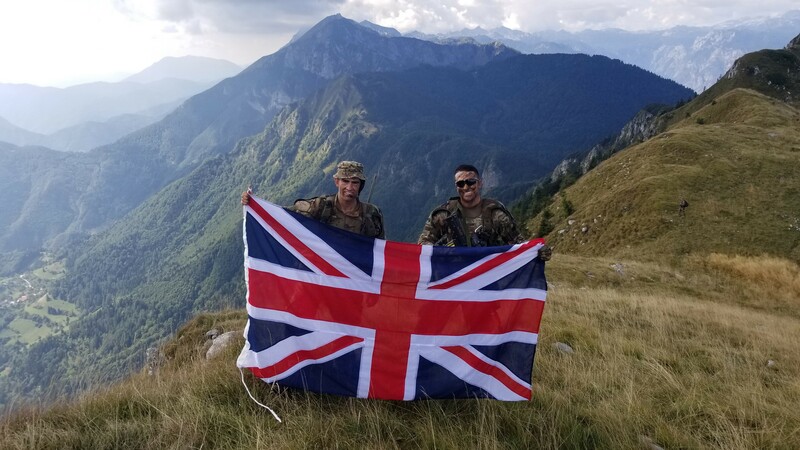 Larrabee applied in the fall of 2017 and was selected to join the Fifth Royal Regiment of Fusiliers, a part of the British Army Reserve, in their annual training in Slovenia. "Admittedly at the time, I could only tell you that Slovenia was in Eastern Europe. I didn't know their language, weather, terrain or much else for that matter," Larrabee said. 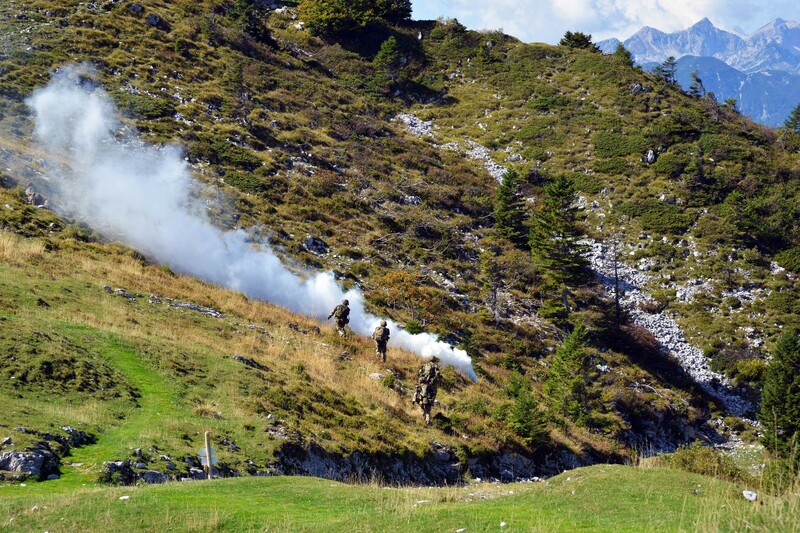 His exchange with the Fusiliers supported the multinational training exercise known as Triglav Star 2018. 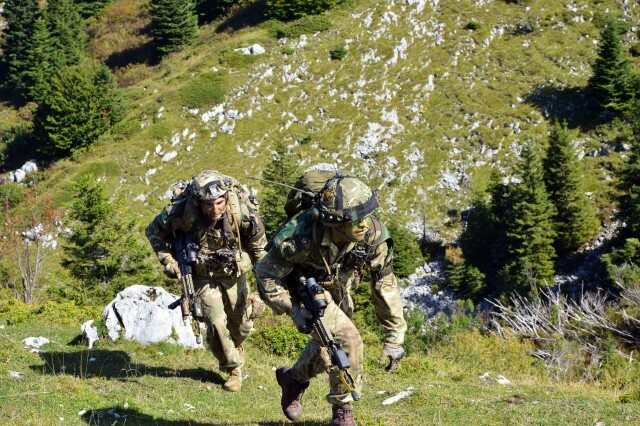 Unlike the training areas back in New York, the training in the Julian Alps for Triglav Star was part of the NATO Multinational Centre of Excellence for Mountain Warfare. "It was immediately apparent that the Julian Alps were going to provide an interesting and challenging training environment for the two weeks to follow," Larrabee said. Arriving in Ljubljana, the Slovenian capital on a Royal Air Force transport plane, the troops moved on to the Slovenian 132nd Mountain Regiment base in Bohinjska Bela. Reception and staging operations included a staff ride to the Slovenian/Italian border to explore where German Gen. Erwin Rommel described his WWI combat actions as a platoon commander in his 1937 book, "Infantry Attacks." Larrabee led a platoon of Fusiliers through various training lanes, culminating with an attack across the high alpine mountains. The exchange program provided opportunities to train at the squad, platoon and even company level. 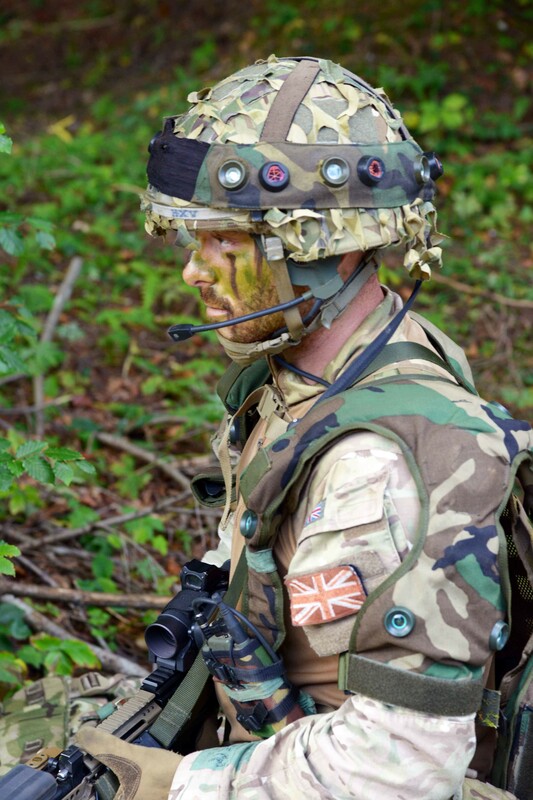 "I was able to command a platoon of U.K. soldiers on a successful platoon attack comprised of four in-depth enemy positions over rugged terrain," Larrabee said. "It was enlightening to learn how the U.K. army fights and draw similarities with our own U.S. tactics. I was able to both benefit from their techniques and provide them with useful solutions from our doctrine." Units taking part in the exercise came from the Slovenian armed forces, U.S. and British forces, he said. The U.S. component also included 100 Colorado Army National Guard Soldiers from the 1st Battalion, 157th Infantry, a mountain warfare unit. The battalion is part of the Colorado National Guard's State Partnership Program with Slovenia. 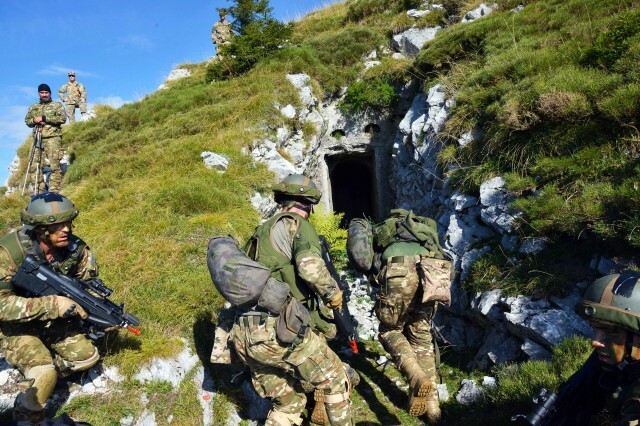 "It was a grueling climb to the top and a complex fight across the mountain ridgeline scattered with pill boxes and trench systems," he said. "Simulated casualties were extracted via helicopter rescue and provided an added touch of realism to the exercise." The training is an opportunity every junior leader should seek out, whether officer or NCO, Larrabee said. "There are very few opportunities in the Army Guard that afford the experience and benefits of the Military Exchange Program," he said. "It gives young leaders the opportunity to develop critical skills in mission planning and execution alongside our allied partners. You get to see the world and meet incredible people." "Be ready to have fun, but be ready to be challenged. This experience will test communication skills, leadership style, and the mental and physical stamina of a leader," Larrabee said. Applications for the 2019 annual training season are available through December 10, 2018. Soldiers with inquiries about the program can contact Sgt. 1st Class Paul Mulligan, the New York Army National Guard Operations and Training Branch NCOIC at (518) 786-6070 or paul.a.mulligan.mil@mail.mil.